Are you planning to flaunt that flat tummy before your hit the beach this summer? Do you want to shed those pregnancy pounds and get back your slim waist? A sedentary life and the temptation of junk food makes it difficult to get that dream figure. So, if turning fab from flab is high on your to-do list this year, this post will help you out! 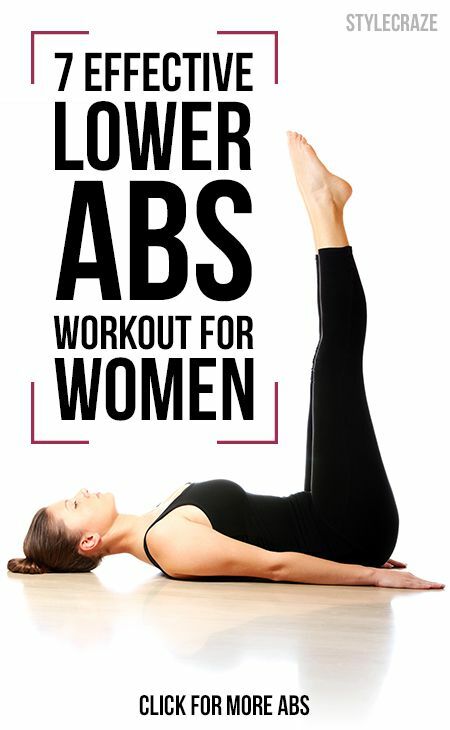 Here we talk about lower ab crunches that can work wonders to tone your tummy. You need to lie on your back, bend your knees and place your feet on the floor. Breathe in and tuck the chin towards the chest. Then breathe out and curl the head, shoulder and neck off the surface. Lift your arms and then reach the feet. Now revert to the starting pose. Now, stretch your arms and extend your legs to resemble a straight line. Breathe in and bring both arms overhead. Curl the upper body off the floor. Breathe out when the body is halfway up and carry on rolling forward to touch the toes. Then inhale and revert to the starting position. Raise the legs upwards and inhale to stiffen the abs. Then breathe out and lower the legs gradually. When the legs are about to touch the floor, you should pause and inhale. Again exhale and raise the legs to the earlier position. You can repeat it ten times.